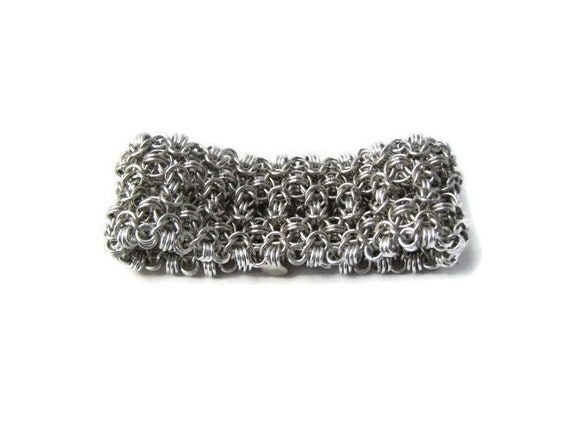 This is an exquisite cuff style chainmaille bracelet made from hundreds of individual aluminium rings. The aluminium makes it lightweight and durable, and it feels smooth against the skin. Handmade to an excellent standard, this piece will hold up for years and is guaranteed to bring attention. An affordable alternative to chainmaille in precious metals. An Elegant Timeless Quality Sterling Silver Bracelet for all Occasions. A Beautiful Colourful Niobium and Sterling Silver Bracelet for all Occasions. Folksy :: Buy "Leather cuff / wallet wristband - Paisley"